processes. 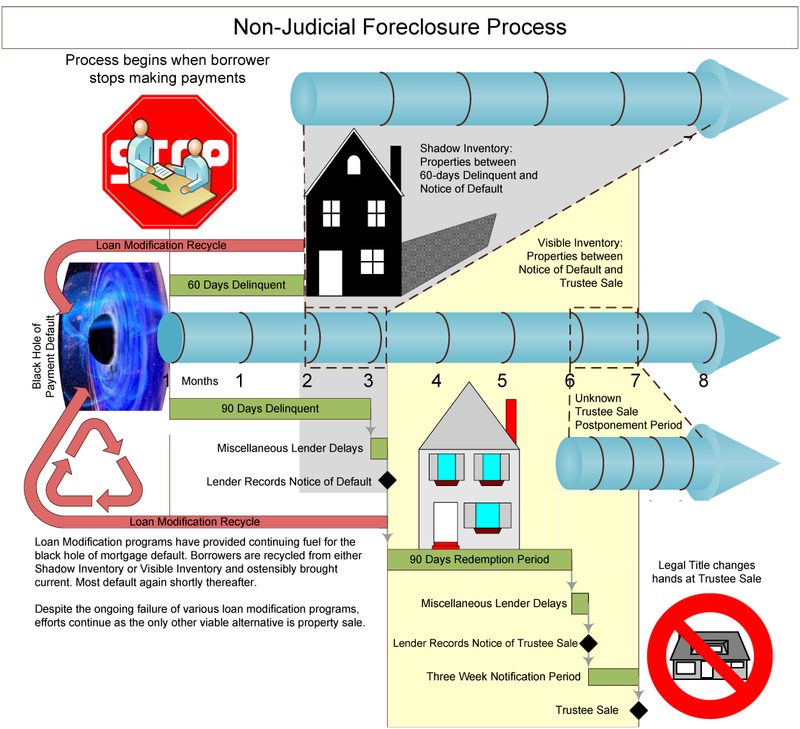 The accompanying chart (see last page) depicts the varying time frames involved in the judicial foreclosure process. 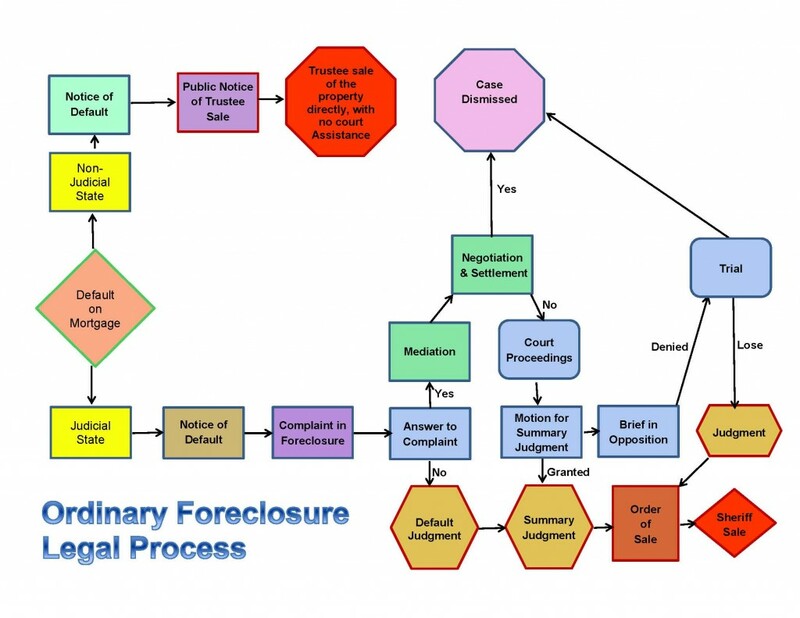 A judicial foreclosure is a court proceeding that begins when the lender files a complaint and records a notice in the public land records announcing a claim on the property to potential buyers, creditors and other interested parties. The complaint describes the debt, the borrower’s default and the amount owed. The complaint asks the court to allow the lender to foreclose its lien and take possession of the property as a remedy for non-payment. 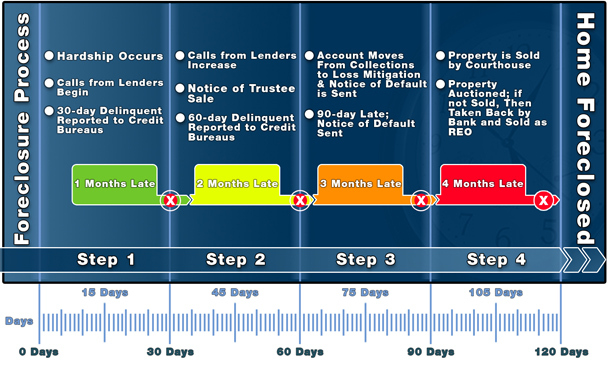 majority of cases, however, the foreclosure action is undisputed because the borrower is in default and cannot offer facts to the contrary. If the court determines the homeowner did default and that the debt is valid, it will issue a judgment in favor of the servicer for the total amount owed, including costs for the foreclosure process. In order for the judge to determine the amount of the judgment, the servicer submits paperwork through an affidavit that itemizes the amounts due. 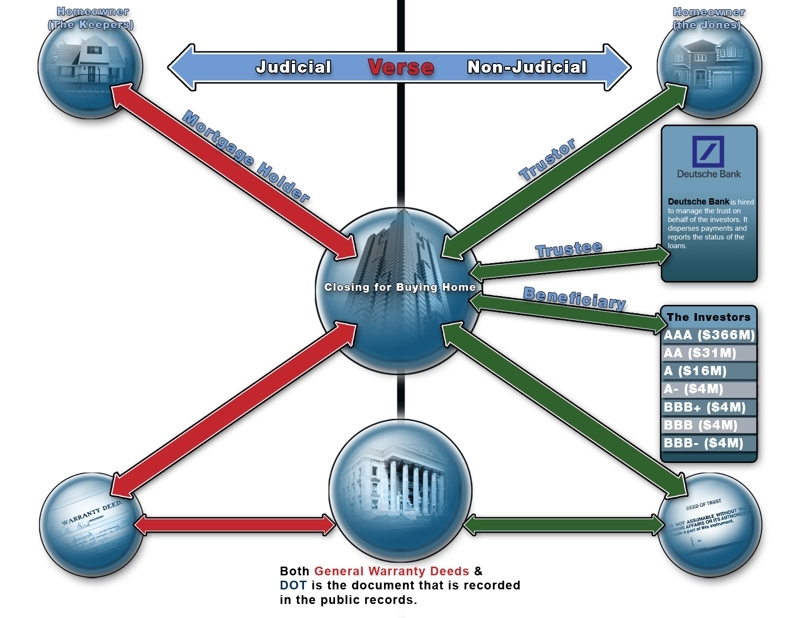 Twenty two states use judicial procedures as the primary way to foreclose. These include: Connecticut, Delaware, Florida, Hawaii, Illinois, Indiana, Iowa, Kansas, Kentucky, Louisiana, Maine, New Jersey, New Mexico, New York, North Dakota, Ohio, Oklahoma, Pennsylvania, South Carolina, South Dakota, Vermont and Wisconsin. 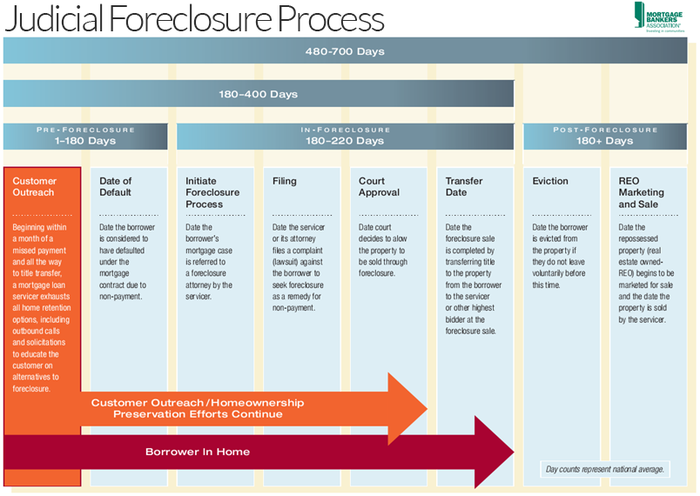 In all other states, foreclosure is usually handled by attorneys who follow a state-provided process. 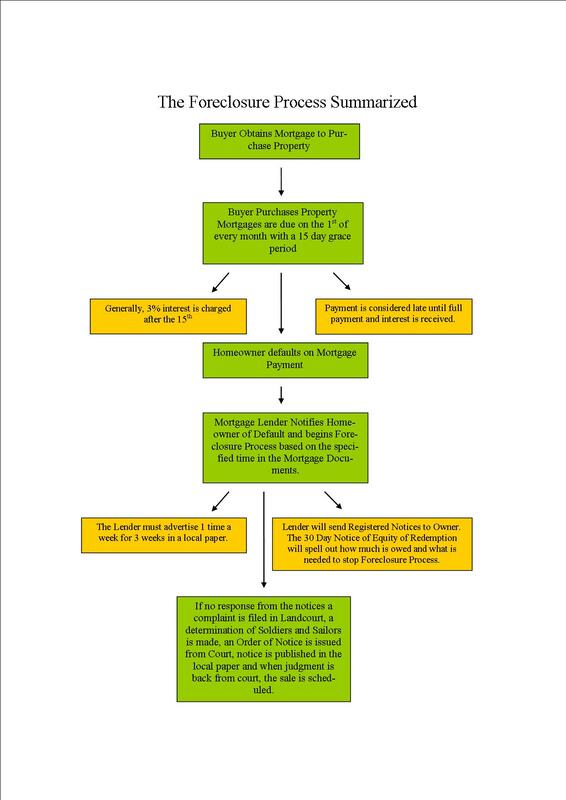 In the mortgage documents, borrowers give lenders the “power of sale” outside of judicial process in the event of an uncured default. Documentation or affidavit issues are not common in these states because of the non-judicial nature of the process. Next, the court will authorize a sheriff’s sale. The sale is an auction of the property open to anyone, and must be held in a public place. Procedures for a sheriff’s sale in each locality differ, but the individual with the highest bid is granted the property. After the sale is confirmed by the court, the deed, which transfers ownership, is prepared, recorded and the highest bidder becomes the owner of the property. bidder becomes the owner of the property, subject to recordation of the deed. Prior to the sale, if the borrower disagrees with the facts of the case, he or she can try to file a lawsuit to enjoin the trustee’s sale.